Mines Minister Richard Musukwa has today told parliament that he will not resign over the death of people he called criminals. Musukwa was responding to opposition UPND Mumbwa Constituency Member of parliament Credo Nanjuwa who wanted to know if the minister is going to resign following the death of scores of small scale miners at the Kitwe slug dump barely days after he assured the nation that safety measures had been put in place. 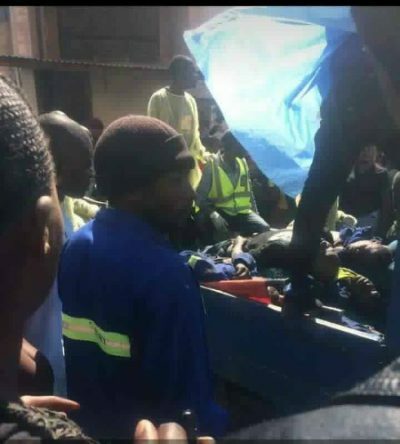 Musukwa initially evaded the question and started explaining that he was speaking with a heavy heart and further explained that the accident happened as a result of failure for the ‘illegal scavengers’ on the site to comply with safety procedures. Speaker of the house Patrick Matibini then directed Musukwa to answer the question to which he (Musukwa) responded that he was not going to resign over the death of criminals and illegal miners. ‘If criminals or illegal people invade a mine site like they did at the black mountain surely that is not good cause for me to resign. Iam not resigning,’ Musukwa said. He further said it was instead time for him to ensure that the unfortunate circumstance at the black mountain is not repeated by ensuring that people comply with the Mines and Minerals Act.